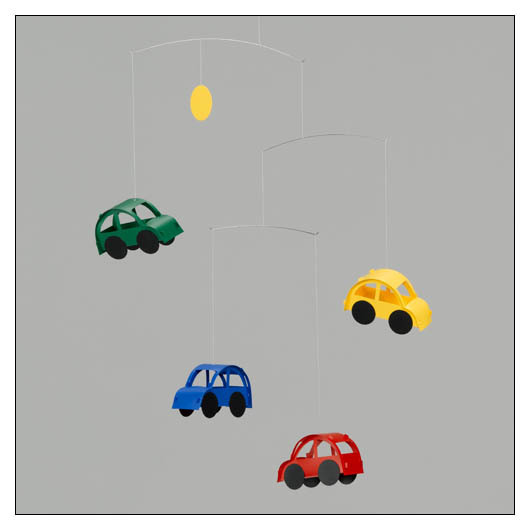 Automobile Flensted Mobile (FM30101) at Pure Design Kids / Toys / Flensted Mobiles ::: Kids' Toys, Furniture and More at Pure Design Kids! Drive the happy cars in a world of childrens' toys. Kids imagine themselves sitting in cars of their favourite colour. Up and down hills. Turning curves. Driving just out in the blue. The mobile is very suitable to be seen from below.